NOTICE: Activation key must be used on a valid Steam account. Requires internet connection. About the gameYour prayers have been answered! For the first time ever, gods, holy spirits and mythological characters from around the globe and throughout history will clash in an explosive 2D fighter where the entire world is at stake! Who will emerge victorious from the most destructive combat … tournament the universe has ever witnessed? Key Features An unparalleled roster: Juggernauts from religion and mythology collide in battles filled with ancient magic and divine powers. Unleash the full might of Jesus, Buddha, Moses Zeus, Odin and many more in a struggle for existence itself! Legendary stages: A tournament as epic as this could only take place in the most iconic environments ever seen. 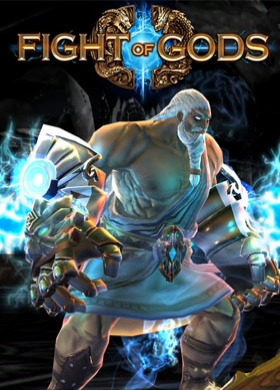 Trade punches atop Mount Olympus and call upon the heavens for otherworldly powers as you tussle in the Garden Of Eden. Strategic combat: Immerse yourself in a four-button fighting system with tremendous depth. Counter each god’s unique attributes with throws, anti-air attacks and special moves. Training mode: New to fighters? Hone your skills in the bespoke practice area to become the greatest god of the arena! Pick who's next! : Jump onto our Community Hub and tell us which gods we should include in future updates! System Requirements Windows - Minimum OS: Windows 7 Processor: i5-4460 Memory: 1 GB RAM Graphics: Geforce GTX 750 DirectX: Version 11 Storage: 3 GB available space Sound Card: Any Windows - Recommended OS: Windows 7 Processor: i7-4790 Memory: 2 GB RAM Graphics: Geforce GTX 960 DirectX: Version 11 Storage: 3 GB available space Copyright © Digital Crafter 2017. All rights reserved. Published by PQube Limited.